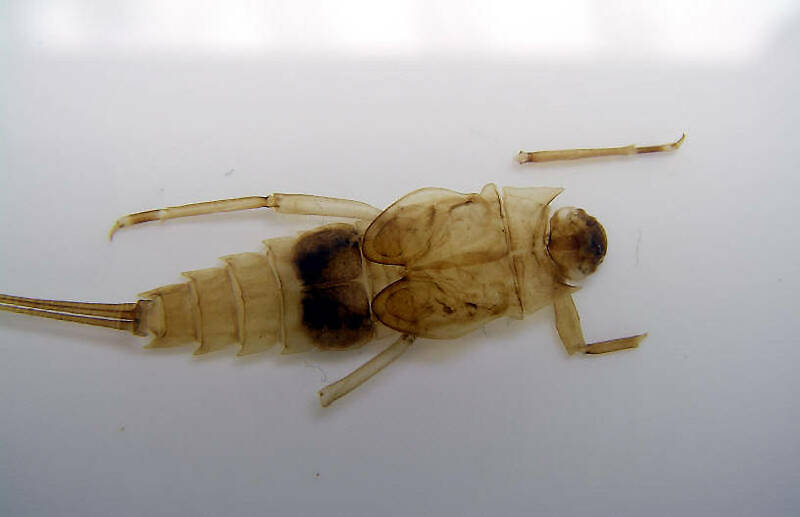 This specimen was sent to me for identification by Caleb Boyle, who did such a good job taking pictures of his mystery mayfly that, after identification, I asked him for permission to add it to this site, which he granted. This is great luck, since Neoephemera is a rare mayfly and it's unlikely I would ever have collected a specimen for the site myself. Found on the surface of the water. The gill cover covers ab. segments 3-5. Wings: dark slate color, large hind wings. I don't know to which species it belongs, but its size rules out the most common one in the genus, Neoephemera bicolor. 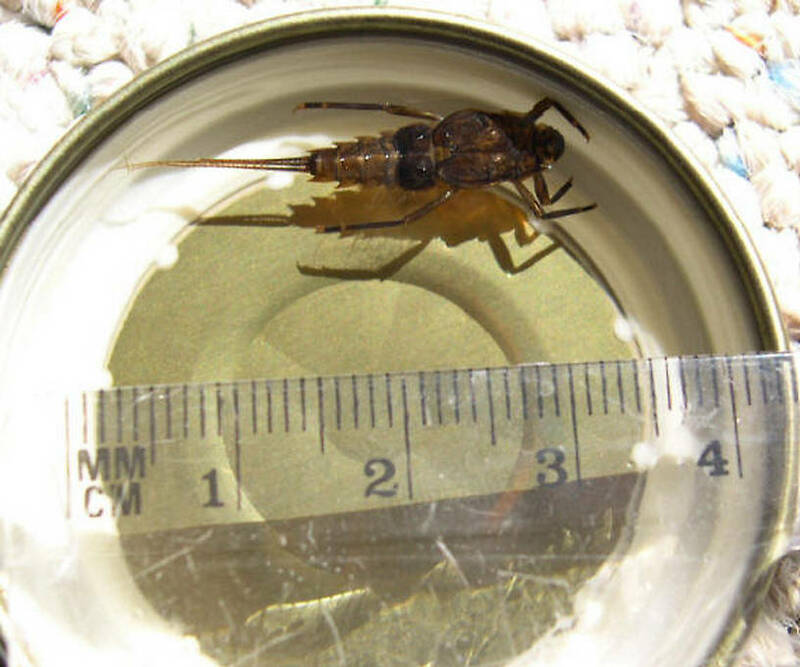 It matches the size of Neoephemera purporea so that is a likely other possibility, but there are two other candidate species (Neoephemera compressa and Neoephemera youngi) about which I have no information, so I can't rule them out. Disregard the camera, region, and exact date listed on these photos. I still need to update the site to accommodate user contributions which don't use my equipment. 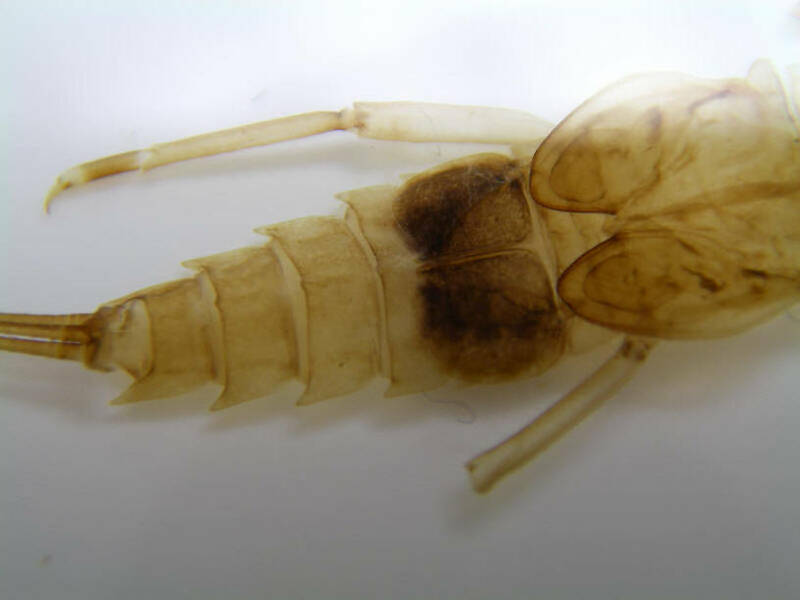 This mayfly was collected from unknown on May 20th, 2004 and added to Troutnut.com on March 20th, 2007. Exoskeleton immediately after hatching. Photo by Caleb Boyle. Preserved exoskeleton photographed in February 2007. Photo by Caleb Boyle. 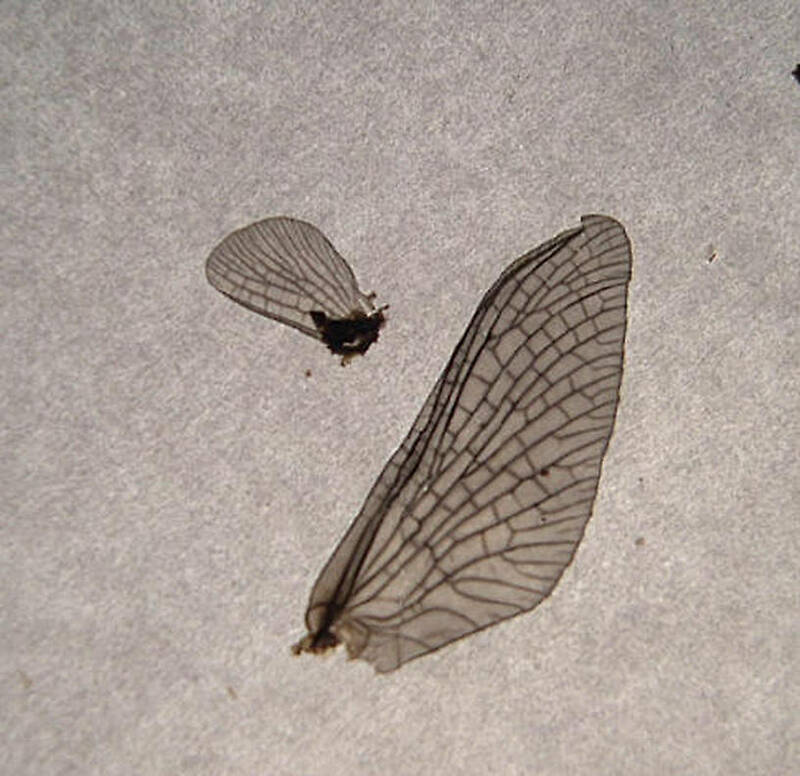 Dun's wings after death. Photo by Caleb Boyle. 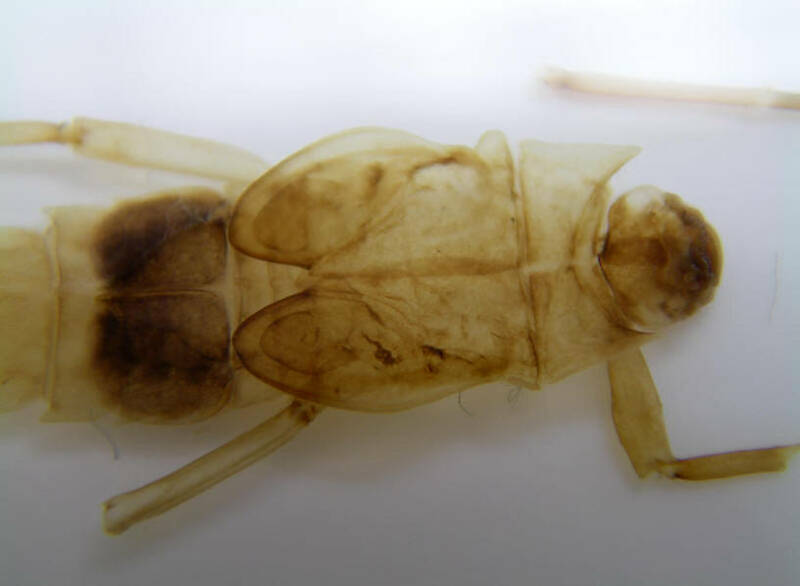 Caleb Boyle sent me this specimen to identify and, when I realized it was of a genus I'm unlikely to ever collect, I asked if I could put it up on the site. Read the specimen description for more info. 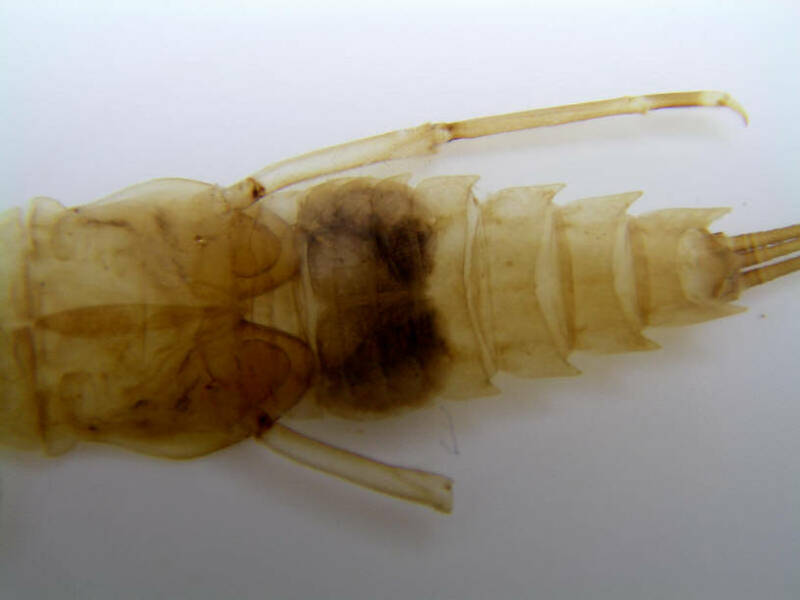 Subimago: Mayfly nymphs emerge from the water into subimagoes, better known to anglers as "duns." They are a sexually immature, winged, recognizably adult stage and they must molt one more time into imagoes or "spinners" before they can mate.